We know exactly how much our guests like taking their gadgets and gizmos on holiday. Cameras, i-pods, phones, watches, games, i-pads, all needing charged almost every day. 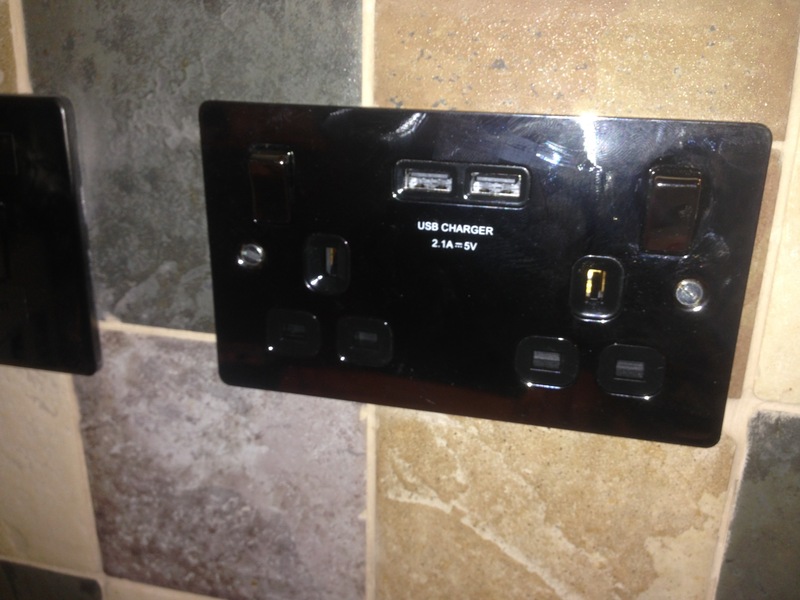 So with your convenience in mind, we’ve now upgraded several of our electrical wall sockets (in the kitchen and living room) to include built in USB charging points! A nice little touch and especially handy if you forget to bring your own chargers and of course, an end to cluttered chargers on the wall.